Good evening Blues and welcome to Friday’s transfer news update from CFCnet, as we take a look at the latest potential arrivals, departures and done deals at Stamford Bridge this summer window. First up, some news of a few departures from the Bridge and we bid farewell to long serving Josh McEchran. Been at the club since the age of seven albeit spending a lot of time away out on loan. The 22-year old has joined Brentford for a fee of around £750k. Which seems obscure as it was only a couple of seasons ago that he was nailing down his starting place in the Chelsea starting eleven under Carlo Ancelotti. He became out of favour and was loaned out once again by new boss Andre Villas-Boas. A player who I feel has been failed by the club and it’s loan system. Good luck to Josh and thank you for the service, a technically brilliant player who will surely step up once again. Next up, Andreas Christensen has sealed his loan move to Borussia Monchengladbach. It’s a great move for the highly rated youngster who will gain the competitive experience needed after pledging his future to Chelsea and signing a new deal. Let’s hope he returns successful and that we don”t fail his potential as well. Meanwhile Stoke have completed the loan signing of midfielder Marco Van Ginkel as part of the deal for Asmir Begovic allegedly. £8 million plus Van Ginkel on loan for a backup goalkeeper? Has the world gone mad? Still, premier league experience for Van Ginkel and hopefully he can prove his worth and overcome the injury that’s so far held him back. So with Barcelona signing Arda Turan, rumours are back about Chelsea moving in for Pedro. 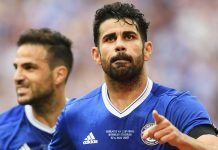 Talk circulating from Fichajes.com, suggests that Jose Mourinho is moving back in for the Spanish international and is ready to make a £15 million offer, after Real Madrid reject their advances for Isco. Can’t really read much in to this, the source can be decent at times but this is just old news dug up again since we apparently ‘missed out’ on Turan even though I’m pretty certain we weren’t even in for him. There will certainly be a new winger/play maker arriving, but so far we are none the wiser.